#HelloMyNameIs Beth, and I am in my final year studying to become a Children’s Nurse at the University of Surrey. It feels almost slightly daunting, being the one charged with writing the post to start off this project, but I hope I can put across what we are hoping to achieve here! Social media, particularly blogging, has always been a bit of a tricky and controversial subject in the nursing community. When I was in my first year of the course, maybe a month or so in, we were studying a module on the concepts of care and professionalism. One week, the lecture focussed on professionalism in the use of social media. Most of us came out that lecture with the life scared out of us! Social media was portrayed as this scary, dangerous thing that would lead to us losing our NMC registration if we so much as had a Facebook account. And the lecturer was absolutely right – countless HCPs have faced grave consequences because of their actions on social media – it made sense just to avoid it at all costs! But it was at that point I felt like things ought to change, however I wasn’t sure how. Fast forward a year and a half, and I stumbled across the amazing group of nurses and student nurses who had embraced the professional use of social media. I was immediately inspired by the things that this community were achieving and threw myself into learning about it. I found “The Student Nurse Project”, a group of student nurses blogging responsibly about their experiences at University and this got me thinking. Motivated further by the way that our amazing lecturers at the School of Health Sciences have embraced Twitter in recent months, I broached the idea of something we as students could do with Ellie Mee and Maddie McConnell, who are two other Course Reps for children’s nursing. And that brings us to now. 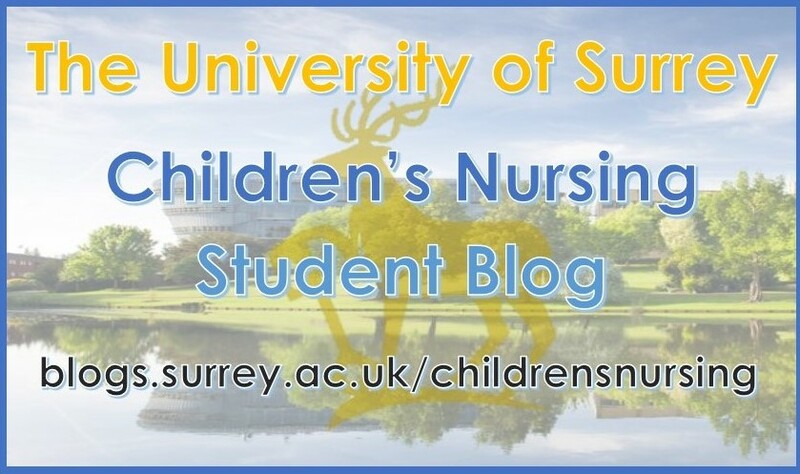 We have decided to create this blog to document our experiences as children’s nursing students at the University of Surrey. We are so lucky to have had and continue to have amazing opportunities during our training; and we want to document this. We also want to embrace the concept of peer support, providing advice and support to other student nurses at our University and beyond. We hope that this can become a collaborative project involving lots of people – from other students in all three cohorts, to our tutors, and guest posts from the amazing professionals we come across in practice, we want to make this blog as rich and exciting to read as possible, and help to convince the nursing world that if we use social media properly, it can be an brilliant learning resource for us all. Thank-you so much for taking the time to read this, and watch this space for more posts coming soon! If you’re interested in writing a blog post for us – whether it’s a one-off on something in Nursing you’re passionate about, or as a regular contributor, please email Beth Phillips (bp00183@surrey.ac.uk), Ellie Mee (em00607@surrey.ac.uk) or Maddie McConnell (mm01664@surrey.ac.uk) – we’d love to hear from you!